The long-awaited Cashmerette Appleton pattern has arrived! It’s a flattering, classic wrap dress designed by and for curvy women, catering for sizes US 12 to 28 (that’s UK sizes 14 to 30), in three cup sizes (C/D, E/F, G/H). 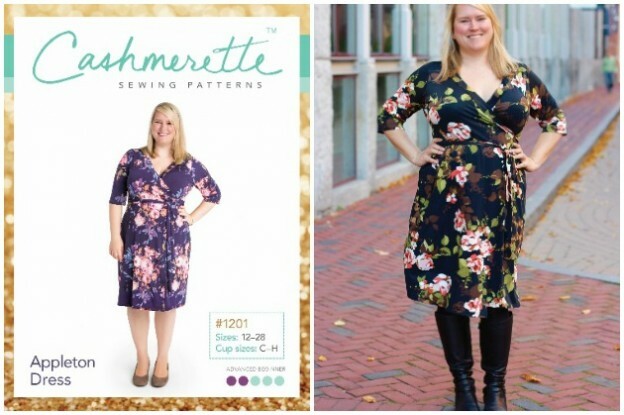 Until now, the lack of sewing patterns accommodating larger sizes has been incredibly frustrating for curvy women wishing to sew their own garments. The gap in the market comes from technical dilemmas that designers face, since patterns cannot simply be scaled up ad infinitum. For example, shoulders don’t get wider if we put on a bit of weight, our arms don’t get longer, our heads don’t get bigger…. All the proportions of a pattern design need to change as the size increases. This means that the pattern needs to be redrawn in new shapes, which is heavy on resource and often makes a pattern too bulky (and costly) if several pattern sheets need to be included. Few pattern designers overcome these challenges and therefore most patterns only cater for women up to a UK size 16, 18 or at most 20. But this is all changing! The Cashmerette Appleton pattern is not only glamorous and gorgeous, but is also well thought through and addresses all the design challenges of a curvy figure. Sewers no longer need to spend hours altering a pattern, for example to accommodate a larger bust. The Founder and Creative Director of Cashmerette is Jenny Rushmore, an exiled Brit and curvy sewist living in Boston, Massachusetts. Jenny blogs at Cashmerette, where you will find a fantastic series of sew-along tutorials walking you step-by-step through making the Appleton Dress. Jenny is also a member of the Curvy Sewing Collective, a blog in which you will find many really useful pattern reviews, tutorials on how to make pattern alterations to fit a curvy figure, and much more. 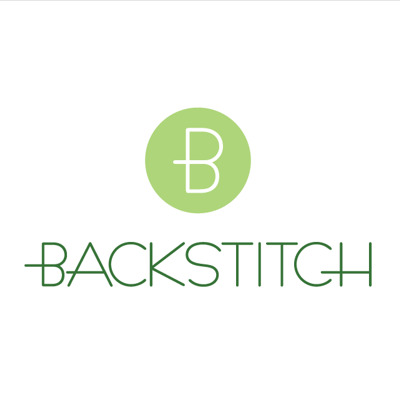 Meanwhile back here at Backstitch we do have a few other patterns that cater for a curvy figure, for example Colette’s Moneta dress and Mabel skirt, which both go up to size 3XL (the equivalent of UK size 24) and Sewaholic’s newer patterns, which go up to a US size 20 (UK 22): the Harwood Dress; Nicola Dress; Oakridge Blouse; Granville Shirt; Davie Dress; Seymour Jacket; Cypress Cape; Pacific Leggings; and the Dunbar Top and Sports Bra.